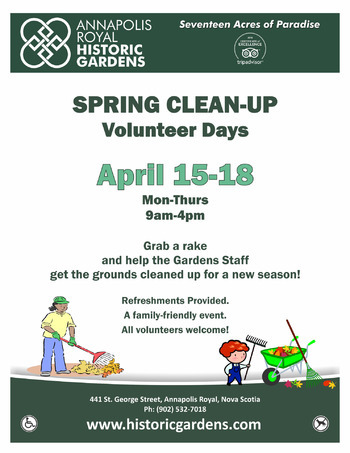 A community tradition, the first “Spring Clean-up” at the Annapolis Royal Historic Gardens occurred in April 1987. Decades later, the Gardens Clean-up has expanded to a multi-day event. 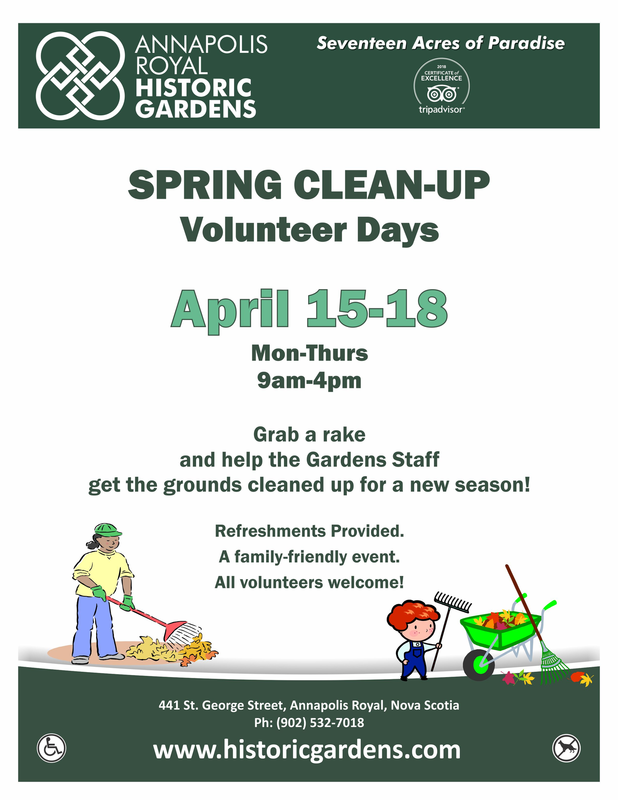 Join the 2019 Historic Gardens Spring Cleanup efforts April 15-18 (Mon-Thurs) 9am-4pm. Typical shifts are 9-12 or 1-4 each day. Volunteers can work several shifts during the week, or if you only have an hour to give, we’d love to see you regardless! It makes a great family outing – an opportunity to work outdoors with your kids and teach them the value of volunteering at the same time. Further information on the Clean-up can be obtained by calling the Gardens office at 532-7018.